 Are your products able to be shipped to the US and Canada?  What DIY skill sets do I need to use the Kinook system ?  What are the Kinook block dimensions ?  What material can be used for the panels ?  Can I screw through Kinook blocks with drywall screws ?  Can Kinook blocks be glued together ?  How strong are the Kinook blocks ?  What tools do I need ?  What additional material is needed ? Are your products able to be shipped to the US and Canada? we use DHL, Sodexi or UPS. 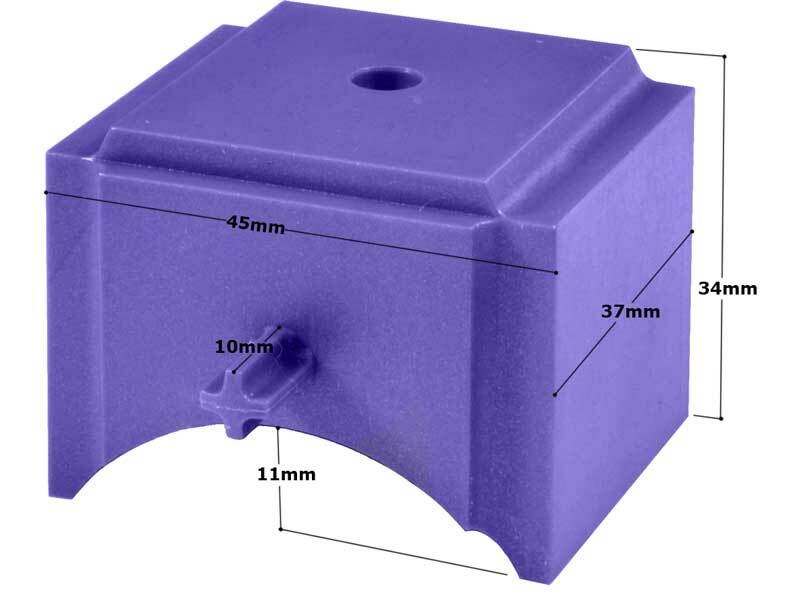 You will need to buy the C-studs from us as the one in North America have different shape than the one in Europe. Kinook system is compatible with metallic stud (C shape) used for plasterboard construction. However dimensions vary from one manufacturer to another. check our compatibility table. The studs must have a rectangular section with dimensions as per drawing below. Kinook products (Kits and block boxes) are only available on this web site. What DIY skill sets do I need to use the Kinook system ? No need to be an expert or a construction professional, you just need to know (or learn) how to cut panels and fix them on a metallic stud (use of auto-perforating screws). Basic DIY with careful and accurate work skills will be the most helpful. If you have already used drywall construction techniques, this will be very easy for you. What are the Kinook block dimensions ? What material can be used for the panels ? Different materials can be used, choose the material according to mechanical constraints, and aesthetic reason. - Plasterboard: pros: easy to cut, inexpensive, easy to fix with auto-perforating screws. Cons: fragile and not very strong. Exists in different thicknesses. - MDF (medium density fiberboard): easier to cut than wood, it also provides a nice finish. - Fermacell: More resistant than plasterboard. - Wood: pros: strong. Cons: more complex to cut and fix. - Melamine: same as wood and provides a smoother finish. Different materials can be used simultaneously in the same construction. For instance: use wood for the horizontal shelves to support books' heavy weight, and plasterboard for the vertical panels. Can I screw through Kinook blocks with drywall screws ? Yes, Kinook blocks have been designed to support drywall screws. Can Kinook blocks be glued together ? Yes, use a hard plastic type of glue. How strong are the Kinook blocks ? Constructing with the Kinook system provides solid bases for horizontal shelves, see DIY Techniques page. 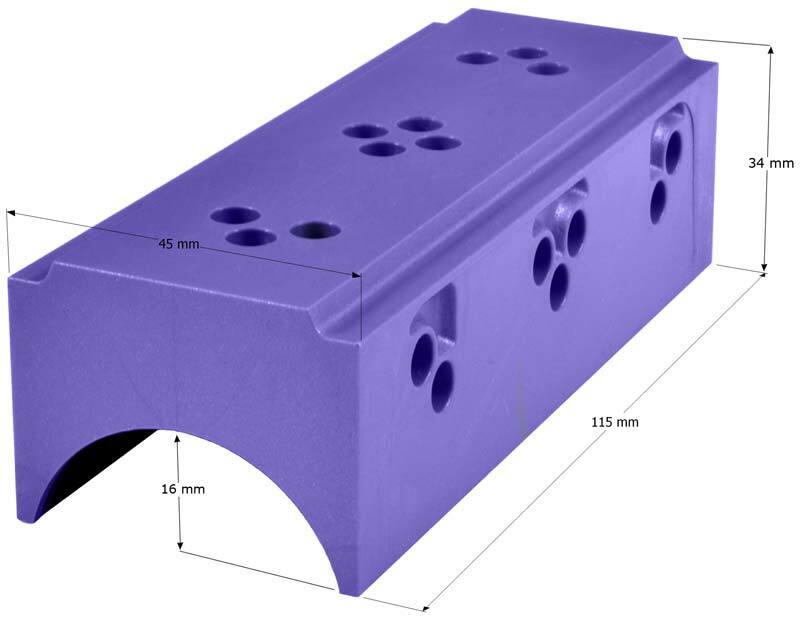 Kinook blocks are made of plastic and are not solid enough to support heavy weights. Kinook blocks are used as guide to mount a metallic structure that will be covered with panels (plasterboard, wood, melamine etc...). It is important to build your construction with panels and metallic studs solid enough to support the mechanic effort (e.g..:weight). Size them accordingly to the use your construction is intended for. A grinder or a Tin snip to cut the metallic studs. A Drill/driver to screw the panels into the metallic studs. Use a drywall bit to facilitate screwing. A level to verify horizontal and vertical levels. A cutter or a blade runner to cut plasterboards. Taping knife(s) for applying the joint compound and finishing coat. What additional material is needed ? - Panels: plasterboard, wood, melamine, MDF, etc. - Metallic studs, 48mm (ref: M48 or Gypsum 48 S 50 ). 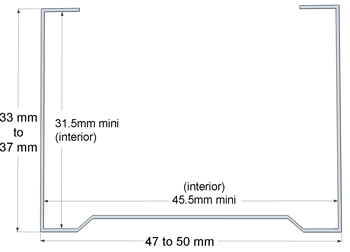 - Metallic rails, 48mm (type R48): Required for ground or ceiling metallic structure. - Angle bead or reinforced corner tape. you have 14 days to return goods you don't want anymore from the date you have received your order.